As a child I used to spend hours looking at maps, fantasizing about far away countries. Ever since I have been planning a trip to China. I promised myself that I would go and for long. As you know, traveling for a week is not the same as traveling for a couple of months. Especially when visiting vast territories. Who knows when will you go back? Additionally, time is needed to experience a culture. Just moving around the planet’s biggest countries takes time! In 2015 we spent three months in Argentina and Brazil, and I feel we barely scratched the surface! The following year we spent two months in Russia, and it seemed such a short trip. In 2017, we organized a four-month trip to China, Japan, and South Korea, which included a short stopover in Belgium and the Netherlands. While it is pretty easy to travel around Korea and Japan, two perfectly organized countries, China is something else. Compared to its eastern neighbors, the country is huge, chaotic, seems a bit stuck in time, and is quite diverse. What are the main challenges of planning a trip to China? A Chinese visa is a mandatory step in planning a trip to China. Except if you are a citizen of a few privileged countries (like me). As a general rule, you should obtain your Chinese visa in your country of residence, although it is also possible to apply abroad. The most common place to do that is Hong Kong. The whole process is pretty straightforward and the waiting time reasonable. Don’t forget that pencils are not accepted: fill the application form with ink (a pen). 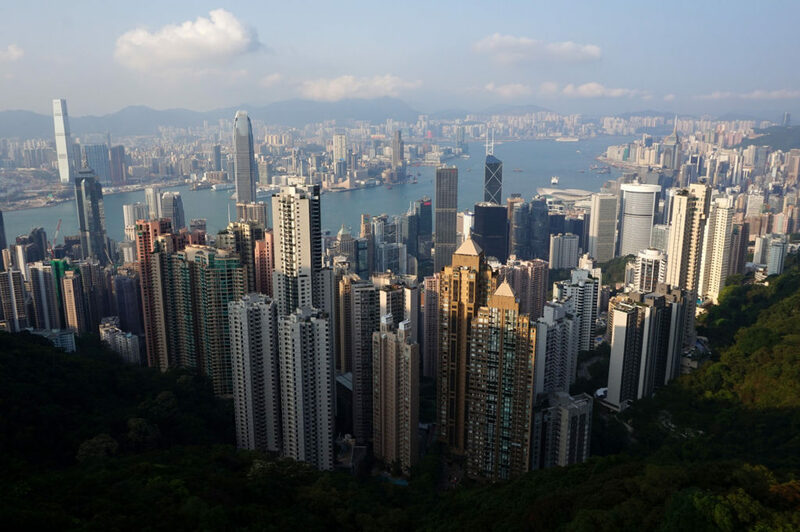 Bear in mind that tourist visas allow you to stay in China for a maximum of 30 days and that Macau and Hong Kong have their own visa policies. Ask for a multiple entry visa if you want to spend more time in China. Visa requirements vary depending on your country of origin and where are you going in China. Hence, be sure to check with your local embassy or consulate, they will be more than happy to assist you. A passport with at least 6 months remaining validity and available blank pages. A photocopy of the main pages of your passport (photo and information). Ticket to and from China (even reservations are accepted). Accommodation for the whole length of your stay. We mentioned several search engines and a good webpage for low-cost carriers in our text about finding the cheapest plane ticket. This time I wanted to get an even better deal. Several websites search for outrageously cheap plane tickets. Thus, all you have to do is follow them on social media and you might get lucky and get a great bargain. I follow two websites on a regular basis: Fly4free and Happy Low Cost. The former offers great deals from all over Europe to any destination worldwide, while the latter does the same thing but mostly for flights originating in Spain. One day, Fly4free offered flights from several European destinations to China and Japan at an unbelievable price. My lucky day had arrived and I managed to get tickets from Amsterdam to Xi’an (China) and from Tokyo to Amsterdam for 240e return. Not only was the price fantastic, but the schedule meant we didn’t have to go back to China from Japan to take our flight back to Europe. Additionally, we got to stop in Belgium and the Netherlands on our way. Flights from Barcelona to Belgium/Netherlands start at 15e, so you can imagine how happy we were. My endless hours online had paid off: can’t beat 240e return to the Far East! China is one of those countries that block many internet sites. In fact, Chinese authorities block Facebook, Twitter, Instagram, Youtube and all of Google websites (Gmail, Google Maps and Translator). We were wondering if we would be able to publish our website texts. There are alternatives to Google, but what about our own Happy Frog Travels? Luckily we solved the issue using a reliable VPN network. After thorough online research we concluded that ExpressVPN provides reliable and relatively fast service. Take note that the Chinese government is after VPN networks too. However, several operate currently. On the other hand, there are a couple of very useful Chinese sites too. Dear Translate is a very useful basic language tool. Baidu Maps has the most up to date maps of China, but it’s entirely in Chinese, while Map of China (now unavailable) had some English names. Waygo is the app to use for quick translations of basic stuff. It uses a scanner to recognize Chinese and translate it into English. China has a plethora of accommodation options and at all prices ranges. Apparently, there are local hotels that charge a couple of euros a night but that only accept Chinese tourists. Cool midrange hotels start at around 40e, while top class at 70e a night! Of course, prices in big cities are an exception, especially in Beijing and Shanghai. Our preferred way of searching for a place to stay is through Tripadvisor which compares different websites such as Booking, Hotels, and Agoda. Foreign hotel booking pages worked fine. However, in China, we used local Ctrip too. It offers hotels, train and airline tickets at competitive prices. 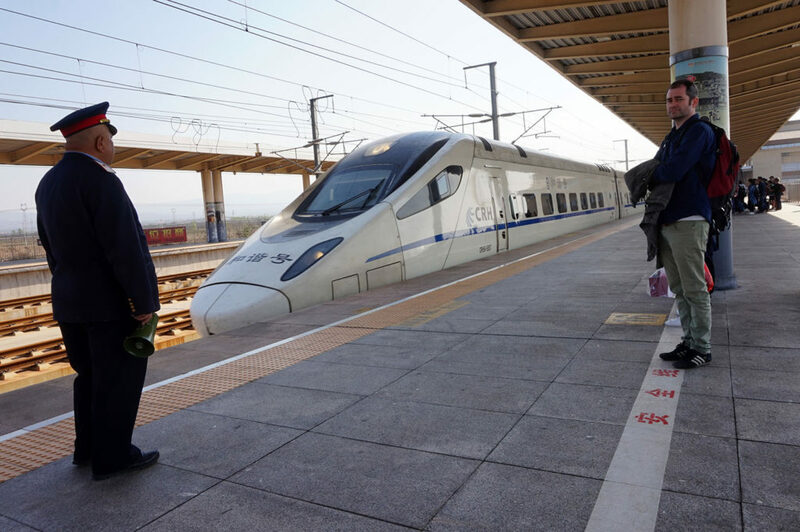 Trains, buses, and planes connect Chinese cities. Though the number of fast trains keeps increasing, some regular (old) trains still operate. These are terribly slow, overcrowded and noisy. On the other hand, the fast ones are comfortable, clean, silent and incredibly fast. Compared to the old ones, new fast trains are not that cheap, though still much cheaper than in Europe. In fact, fast trains are sometimes slightly cheaper than flights. Unfortunately, the Chinese Railways website is in Chinese only, so foreigners have to buy train tickets mostly through intermediaries. A list of useful online agents can be found here: Seat 61 China. Buses are not as fancy as trains and you can’t buy tickets online. Nevertheless, in some cases taking a bus is the only option. We took several and were blown away by the scenery. Additionally, a couple of times we were the only foreigners on board. That was special! There are numerous airline companies. Since China is one of the largest countries in the world, distances are enormous. Hence, flying is the best option to get to faraway places! Over the last decade, China’s infrastructure has improved considerably. Most large cities have a subway system, with new stations opening every other month. Fortunately, most metro systems have signs in English and Chinese making them relatively easy to use. Likewise, some cities have trams too, also with signs in English. On the contrary, local buses only have signs in Chinese, so it’s not that easy to take them. The good thing is all public transport is reliable and incredibly cheap: a ride can cost you as little as 30 cents. Getting a taxi on the street is pure art. It seemed to us that many Chinese are not comfortable with their level of English (which in any case is much better than our Chinese). Consequently, some taxis don’t stop to pick up foreigners. If you do manage to stop one, show your driver your destination in Chinese and you’ll be there in no time. 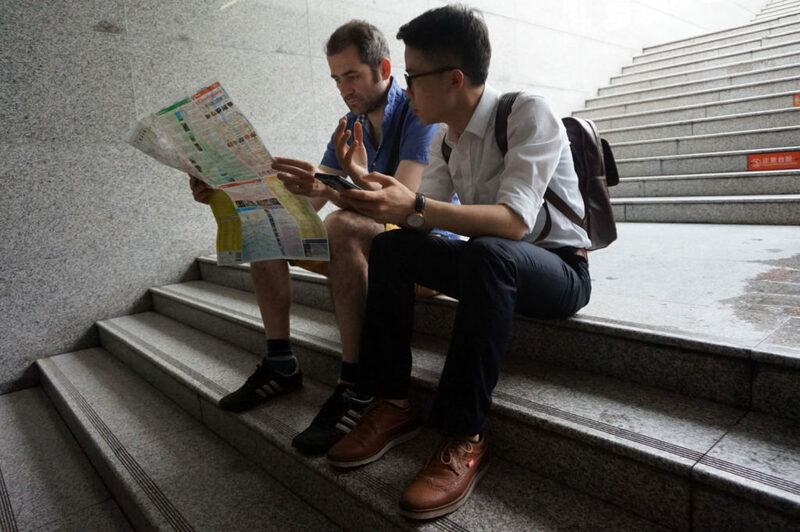 The tricky part is finding an address in China since there are no reliable maps. A good idea is to have your hotel reception write the address in Chinese and show the paper to your driver. Both of us eat Chinese food regularly. Nevertheless, food in China proved to be quite an issue. With the exception of big cities, finding a restaurant with quality food can be hard. Granted, we are not that adventurous with food. All those soups with strange things floating around don’t appeal to us. Most definitively not Chicken leg snacks that you can buy in supermarkets. But we did expect much from rice and noodle meals. Unfortunately they were either too spicy, too fatty or the meat was mostly bones and cartilage. 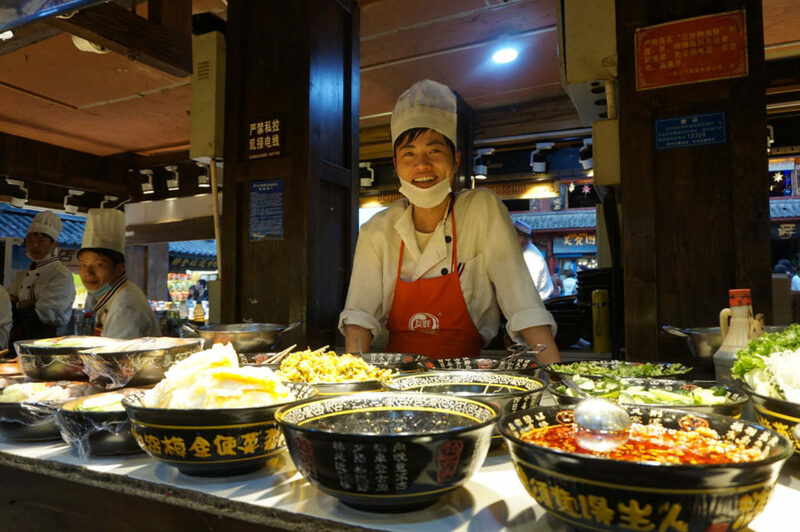 The vast majority of tourists in China are Chinese themselves, so most restaurants cater to their needs. They are used to that kind of food and it’s not easy to find western style food. Even McDonalds and Burger King serve chicken hamburgers with skin. Most restaurants don’t offer western cutlery, so learning how to use chopsticks beforehand is a great idea. I tried so many times and failed! I had to use the soup ceramic spoon for everything! On the other hand, Beijing and Shanghai are something else. Both international and Chinese food in big cities is simply delicious. With over 1.4 billion people, China is the world’s most populated country. As the economy grows, so does the number of people able to travel. So be prepared: the number of tourists can be overwhelming! This is especially true during national holidays and all throughout summer. We were there in April and May which was a great decision. The weather was splendid and tourist numbers relatively modest. Apparently, September and October are great months too. Bear in mind that due to its size China has different climates. For instance, in subtropical China summers are long, humid, and unbearable. 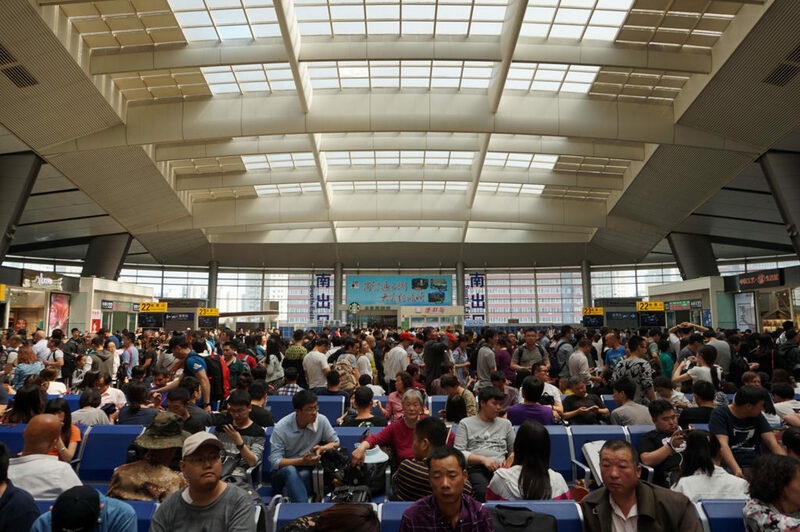 Therefore, avoid traveling south of Shanghai during the summer (June to August) when possible. The weather in central China, including Shanghai, is similar to that in most of Europe. However, the north, including Beijing, is terribly cold in winter (Tibet too). As a simple rule, if you are planning a trip to China in summer visit the northern part. If you are visiting in winter go to the south. While homosexuality is legal in China, the country doesn’t support sexual diversity. Likewise, there are no national laws explicitly banning discrimination based on sexual orientation. Since China doesn’t allow public gatherings there are no pride parades. Nevertheless, Shanghai has been successfully organizing its Gay Pride since 2009. Social attitudes are not negative though. Most of the older generation sees it more as a taboo. On the other hand, the younger generation is much more open publicly and loudly opposing discrimination against gay individuals. That said, there are large LGBT communities in most important cities and Beijing and Shanghai have a thriving club scene. In Beijing, we went to the lavish Destination Club, a three-story mega-disco. 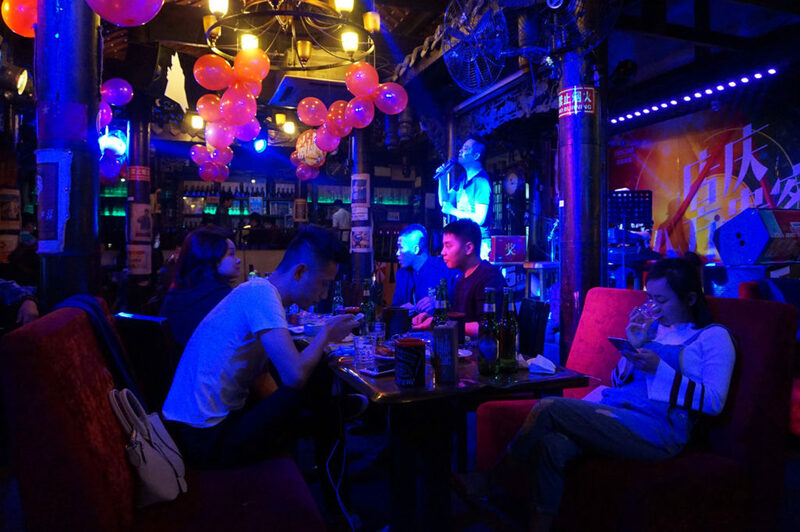 In Shanghai, there is even a sort of a gay neighborhood near the Jiaotong University Metro Station. We went to Happiness 42 Bar and then partied at Lucca 390 Disco. We had a blast! In other cities, gay clubs keep changing locations or are still somewhat hidden. For the most updated list of LGBT places in China check out this website. You may have heard of the unusual habits of Chinese people like coughing up body fluids, queuing un-orderly or grabbing your hand to take a picture. True, these things still happen in China. However, every new generation has manners more akin to those of the west. Yes, it’s all a matter of what one is used to. We Europeans do some things that to them are quite disgusting (to me too). Be that as it may, we found the Chinese to be extremely honest, polite, helpful and most importantly, fun. Not even once were we cheated or taken advantage off. Everywhere we went, people were smiling and happy to welcome us into their world. As mentioned above, most Chinese don’t speak English, so some people will try to avoid contact with foreigners. Nevertheless, the vast majority will be more than happy to say hello or take a picture with you. We are two open-minded travelers, so we were approached quite often. The other thing that impressed us was the number of Chinese with decent English who stopped to offer help. You are probably wondering if China is safe. We believe it is. Its roads and trains pose no risk, they are efficient and drivers careful. Everywhere we went we took the camera, without any fear. All urban and rural environments we visited felt safe. To be honest, when I started planning a trip to China I was a bit worried about the quality of our trip. It’s not that I am addicted to the Internet, but I do like to find hotel and flight bargains or to check which restaurant is top rated. And I have to admit that I am completely addicted to Google Maps. Being an architect and an urban planner I connect to cities through maps. That said, I traveled when there was almost no Internet and it was so exciting! Eitan traveled when there was no internet at all and never had a problem (he is not that old, it’s the Internet that’s young!). To him, traveling has to be an adventure. Fortunately for us, China brought us back in time. We disconnected from tiny boring screens and had a blast! 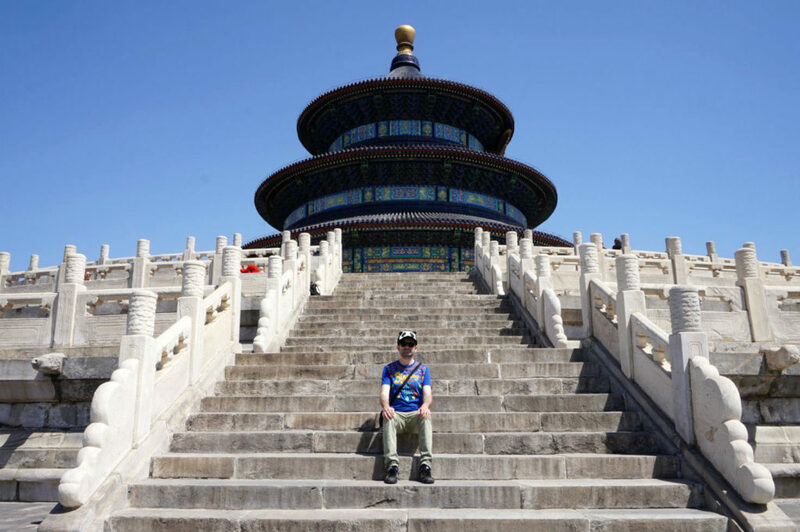 China is a massive and diverse country, so visiting a region or two was not an option. Thus, we decided to spend two full months there. I can’t say it was enough to really get to know China. However, we were able to get a glimpse of the world’s most populated country. 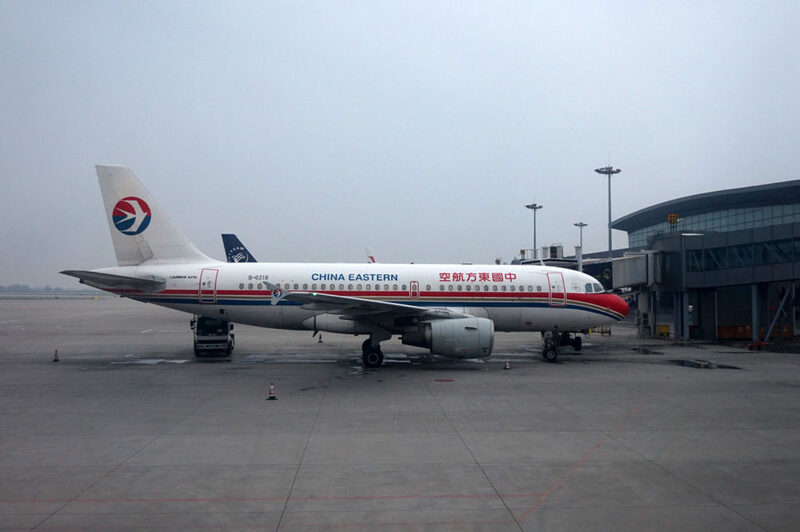 Since Eitan’s Chinese visa allowed for a 30-day stay at once, we had to fly to Hong Kong for a couple of days and then continue our Chinese route. It was the perfect excuse to go back to Hong Kong after just one year! The first thing I did was type ‘Best places to visit in China’ in Google. I got back several places with photos included. After that, I checked several websites, including one of my favorites Touropia. I also checked the list of Unesco’s World Heritage Sites in China. Of course, I couldn’t plan my route without Lonely Planet. For destinations inside a specific region, I checked TripAdvisor’s Top Places to visit. As you know, our travels focus on architecture and nature. Luckily for us, China has loads of both. The country has 23 provinces, 5 autonomous regions, 4 municipalities (Beijing, Tianjin, Chongqing, and Shanghai), and two Special administrative regions (Hong Kong and Macau). Therefore, the time you have determines your itinerary. Since we had two months, we chose China’s main megacities and provinces and autonomous regions we thought interesting. Autonomous regions are similar to provinces but have more legislative rights. These are regions that home minority ethnic groups. Guangxi in the south and Tibet in the west are two fantastic choices. Take note that you can’t visit Tibet freely so you have to go to an agency. If there is one place you shouldn’t miss on your visit to China, it surely is Beijing. Huge, opulent and sometimes frightening, it is a city that leaves no one indifferent. From the Forbidden City to the Temple of Heaven and the Summer Palace, Beijing showcases China’s imperial glory. But that’s not all. If you are looking for contemporary art and architecture you’ll love Beijing. Cool modern architecture is everywhere, including the monumental sports complex built for the 2008 Olympic Games. The city even has an Art district. 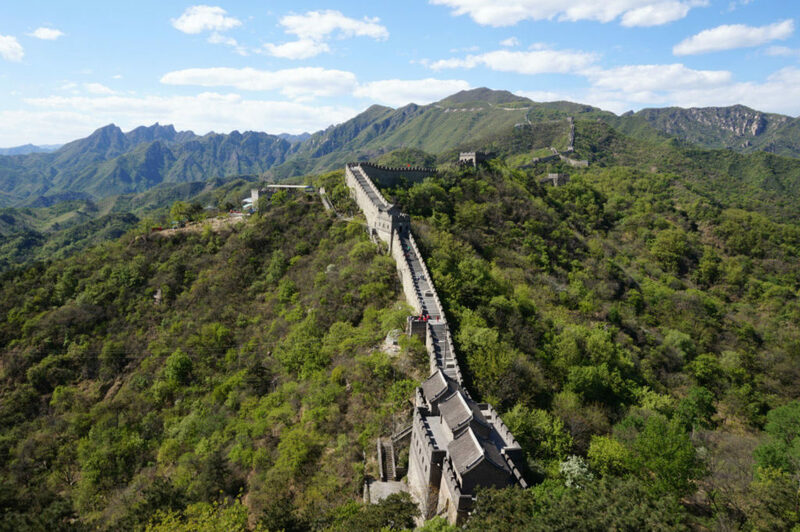 Finally, you can’t leave China without visiting the Great Wall, its largest monument. Only then you’ll understand what China is all about. Shanghai is something completely different. For a long time, it was home to European Concessions, so European architecture dominates its large city center. Its highlight, the riverside promenade called the Bund, is a unique mix of European and Chinese architecture. 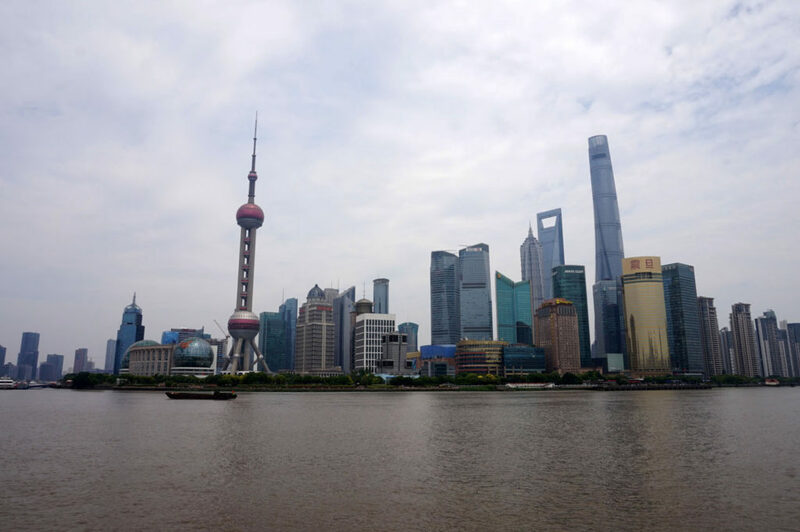 On the other side of the river, the Lujiazui area in Pudong is the result of China’s impressive economic boom. Neo-futuristic skyscrapers of all shapes and colors occupy this large area. 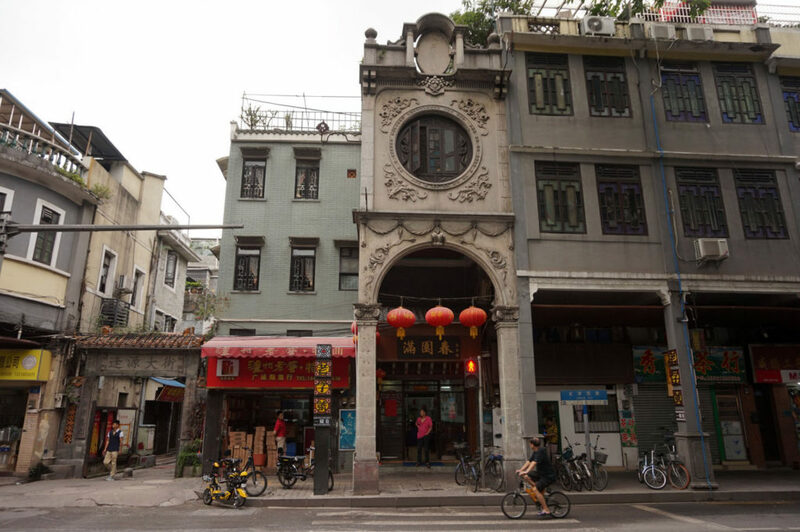 Additionally, there is an Old Town area with typical Chinese houses and plenty of small squares and parks. Shanghai is indeed one of the most cosmopolitan cities in the world! 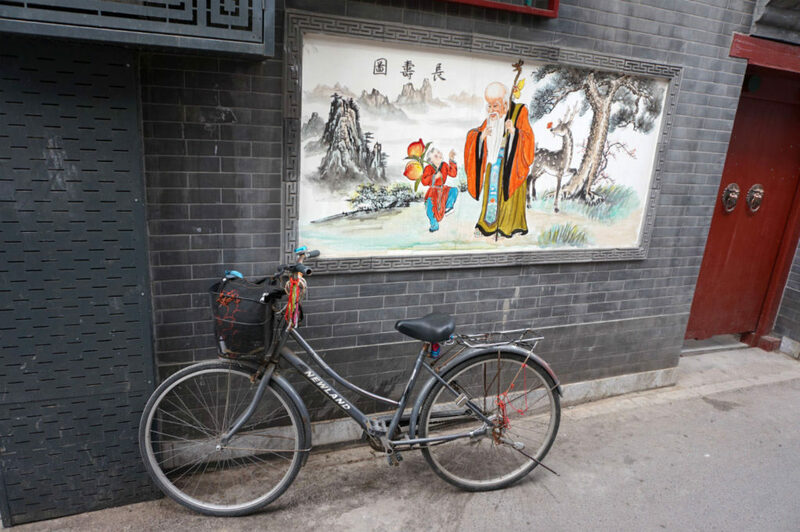 Another city that attracts international tourists is Xi’an in Central China. 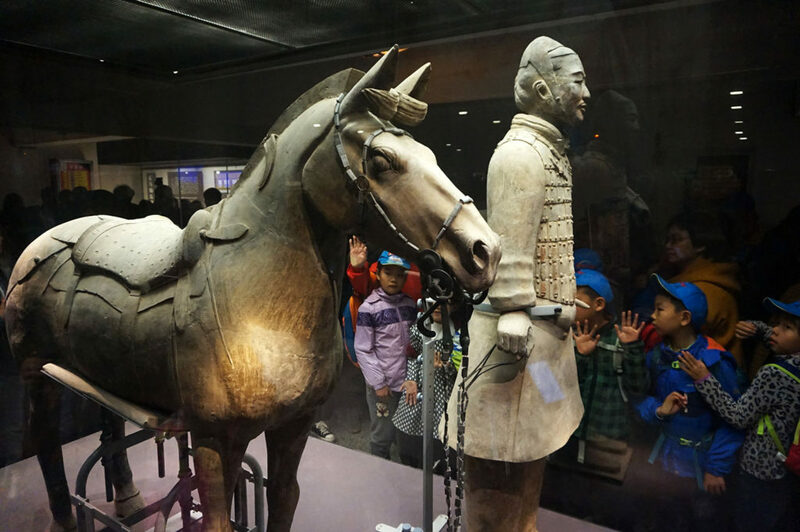 Most of them visit Xi’an because of its impressive Terracotta Warriors. The first Chinese Emperor who chose Xi’an for his capital built more than 8000 warriors to protect him in his afterworld life. Crazy, right? Surprisingly enough, the city itself is worth visiting too. It has one of the oldest and longest city walls in all of China. Inside it, you’ll find China’s only Muslim quarter. There are also several historical monuments including drum and bell towers and old pagodas. Guangzhou is actually the newer name of a very old city. Historically known as Canton, Guangzhou is China’s third largest city and its economic motor. Unlike the above mentioned cities tourists still haven’t discovered Guangzhou. 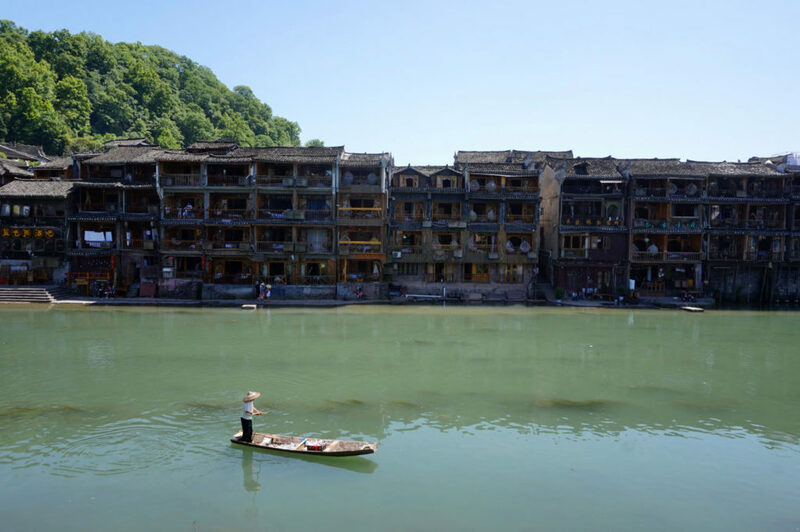 We loved everything about it: the giant Pearl River, the Chinese merchant houses from the early 20th Century, the temples, large parks, and pedestrian streets. The food and subtropical climate reminded us of our beloved Southeast Asia. 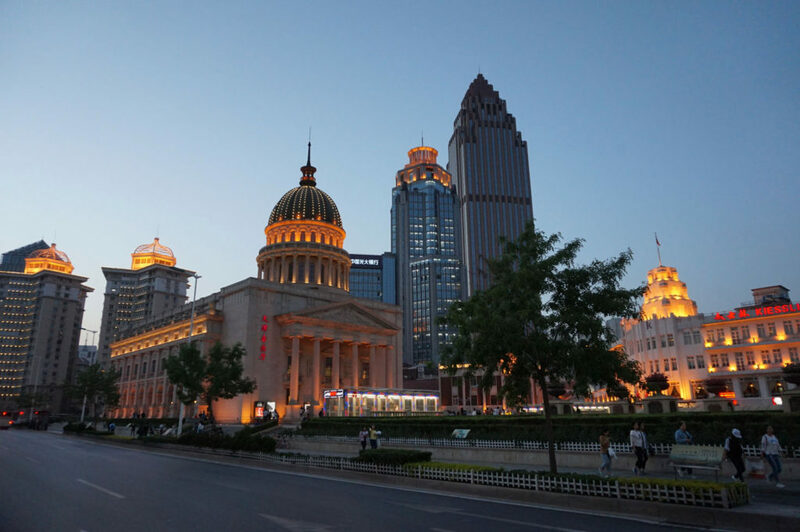 Tianjin is another city that is somehow overlooked by foreigners. It is one of the four municipalities under the direct rule of the Central government. Originally built as Beijing’s port, like Shanghai, it was open to foreign concessions. Thus, Tianjin has a European feel. Colonial heritage dots dozens of districts. Of course, there is an interesting Chinese historical area too. To our great pleasure, the whole city center is pedestrian friendly with plenty of green areas. The last megacity we visited could actually be considered one of Shanghai’s suburbs. 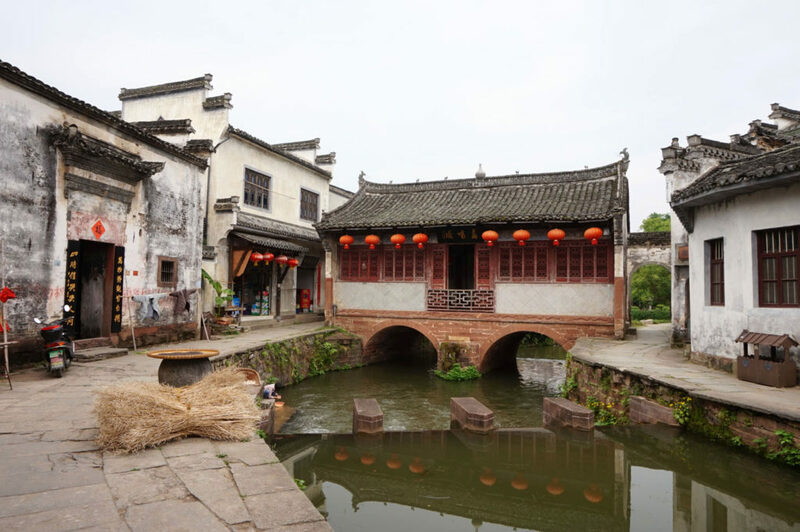 However, unlike the other cities on this list, Hangzhou is not known for its architecture. It’s famous due to its gorgeous West Lake. The lake is part of an extensive area that includes islands, hills, gardens, temples, pagodas, and various pavilions. 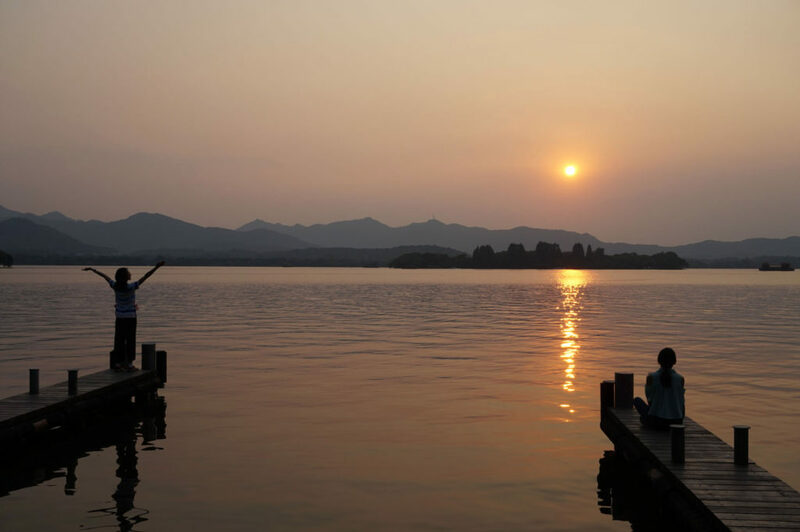 As you can see, Hangzhou is a destination on its own. Once again, both historical and contemporary architecture line several streets. Sichuan is one of China’s most diverse provinces. It shares cultural and religious ties with its neighbor Tibet, so it’s not unusual to see a Tibetan looking monastery. 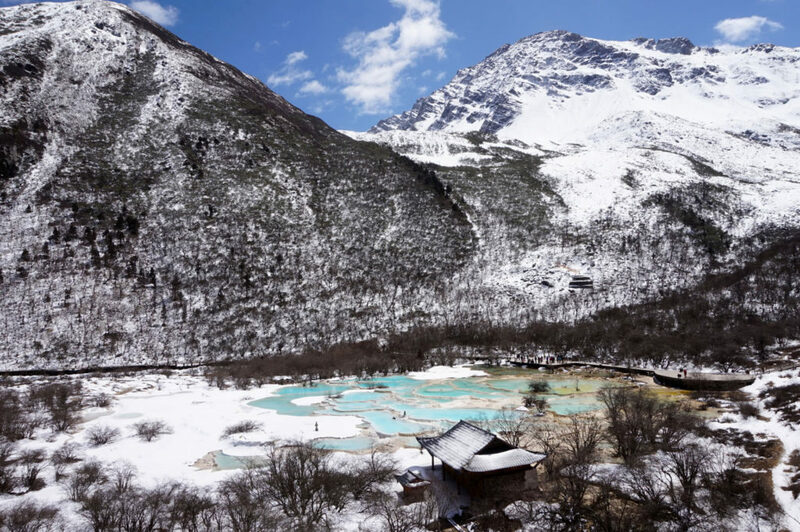 Sichuan is home to impressive mountains and two first-class national parks: Huanglong Scenic Area and Jiuzhaigou National Park. Sichuan’s capital Chengdu is one of the country’s coolest cities with interesting architecture and pedestrian streets. 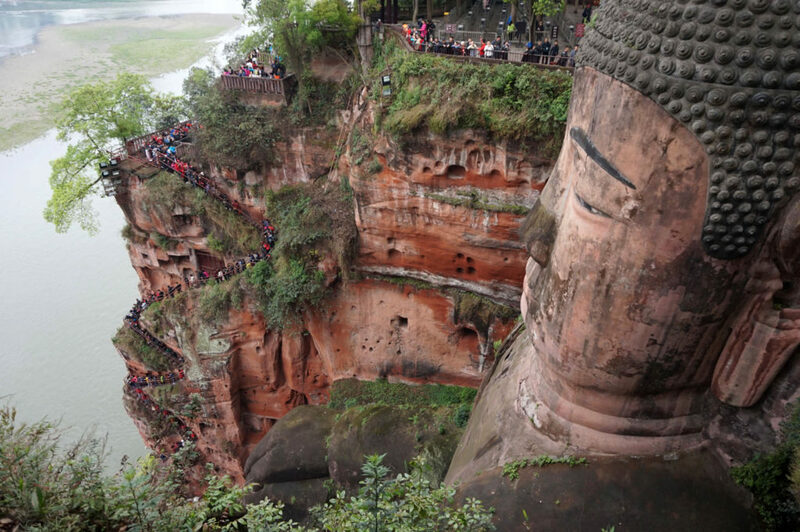 Additionally, the world’s largest Buddha is just a step away. 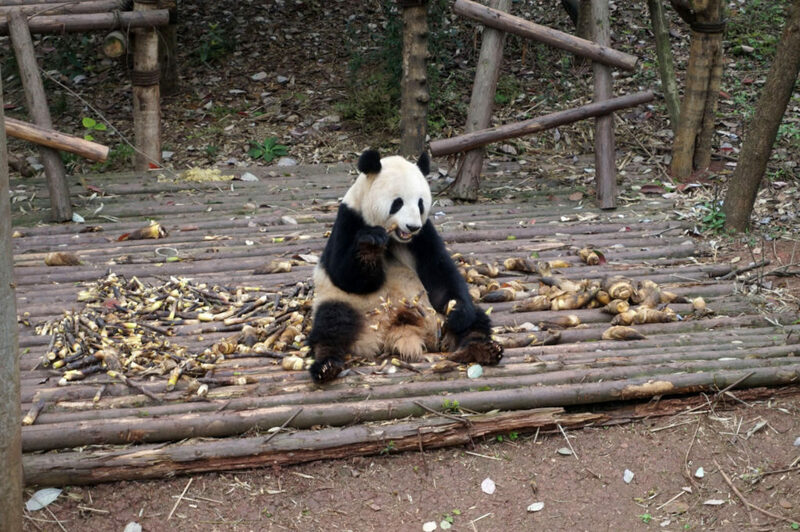 Finally, the main reason tourists visit Sichuan is to see pandas. Unfortunately, our behavior has brought these cute animals to the brink of extinction. We are terrible! Yunnan is another culturally diverse region. Located to the southwest of the country, it neighbors Myanmar, Laos, and Vietnam. Hence, everything, from food to architecture, has a Southeast Asian flare. 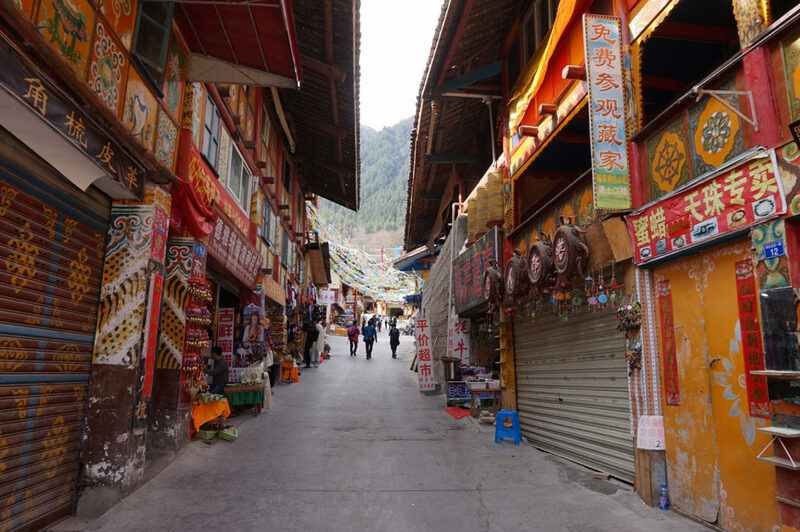 Yunnan is home to some of China’s nicest towns. 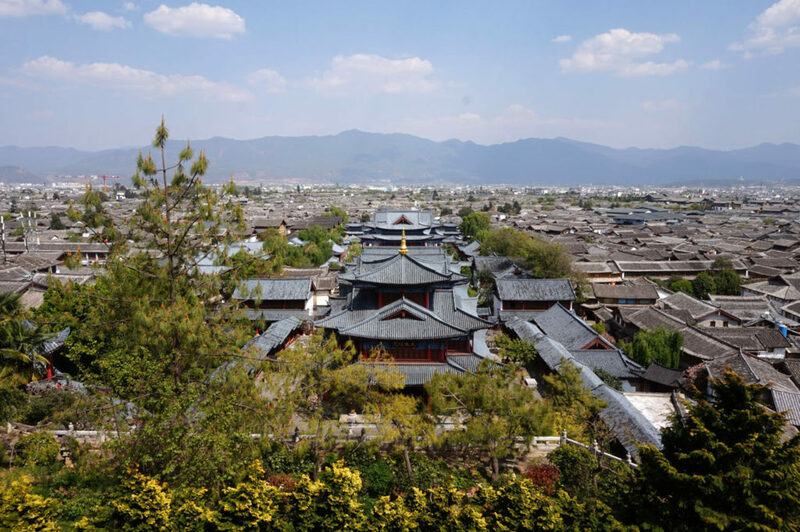 Lijiang with its thousands of heritage houses is one of the most authentic towns in all of Asia. Dali is known for its triple pagoda and Kunming for its Shilin Stone Forest. 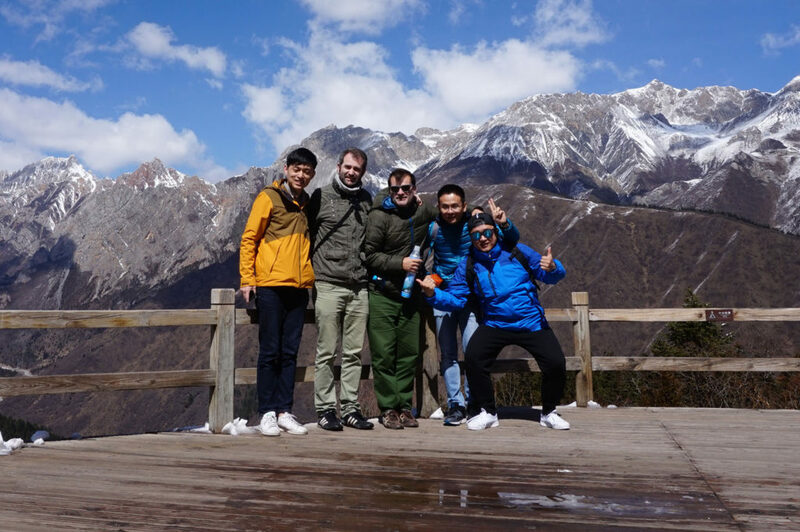 In addition, there are mountains galore, including the famous Tiger Leaping Gorge. And as if it wasn’t enough, China’s most impressive rice fields Honghe Hani Rice Terraces are also here. Though not that popular as the above, Shanxi is full of surprises. Walled Pingyao Ancient City dates back to the 14th century and is a perfect example of a Han Central Chinese city. 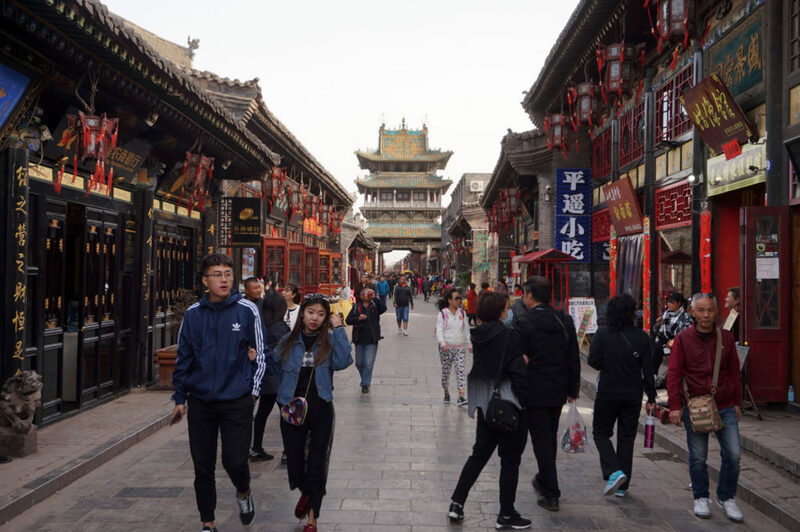 Pingyao was an important financial center during the 19th and early 20th century and is now becoming a tourist hotspot. Inside the massive medieval city walls, you’ll find numerous old mansions, commercial streets, and impressive towers. North Shanxi hides other hidden gems: the sacred Buddhist site of Wutaishan (Mount Wutai) with more than 50 monasteries and the impressive Yungang Grottoes, a chain of 50000 niches containing Buddhist sculptures. Everything is massive in China: distances are long, mountains high and cities endless. Even limestone karsts, typical of East and Southeast Asia, are in a league of their own: much, much bigger. 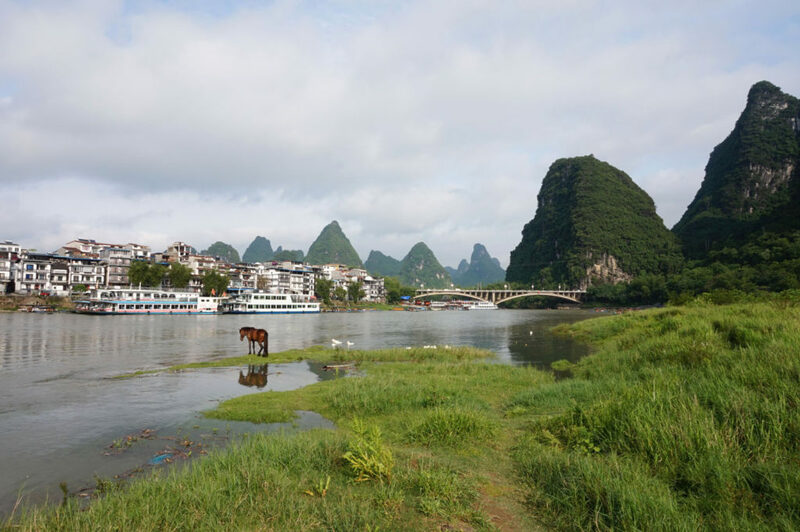 Li River is Guangxi’s main draw. 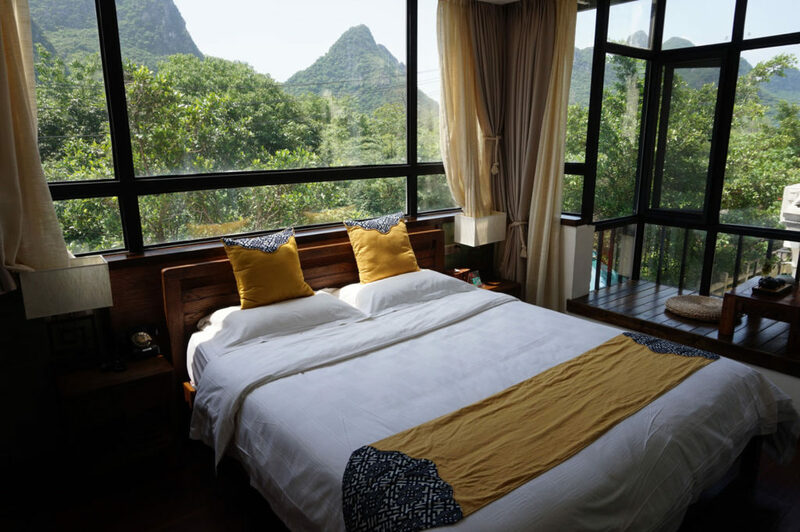 It meanders through endless hills and mountains passing through Guilin, Xingping, Yangshuo, and Pingle. 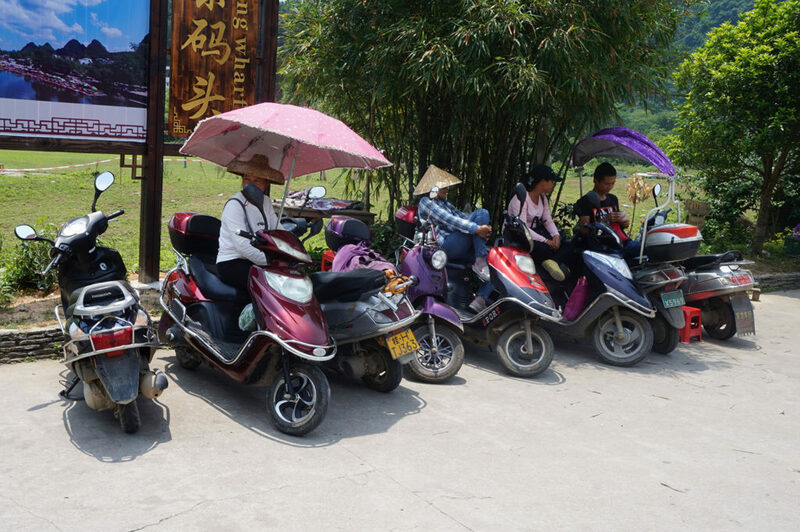 Yangshuo is the best place to explore the area, plus you get to experience local life. Just north of Guilin lay the large Longsheng Rice Terraces, another jewel. The whole area around the terraces is especially scenic. Additionally, on your way there you get to see colorful villages along the road. Hunan, our favorite region, left us speechless. We felt in the middle of China, far from the coast and megacities. The landscapes are out of this world. Fenghuang is a unique ancient town located in the middle of nowhere. Mountains surround old houses and narrow streets. 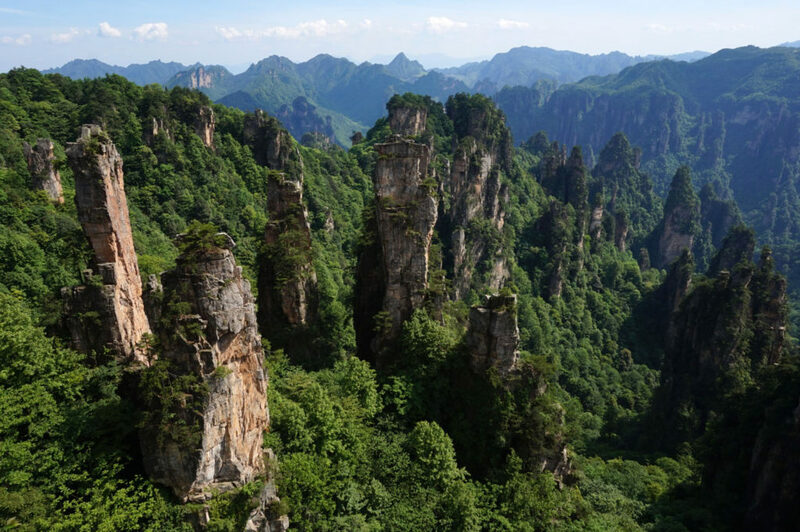 Zhangjiajie National Forest Park, a science fiction beauty of thousands of tall pillar-like formations, is in Hunan too. Sharp mountain peaks populate the entire province, being Tianmen Mountain with its imposing natural arch, one of the most popular ones. On the other hand, Anhui is close to China’s largest cities and is much more densely populated. 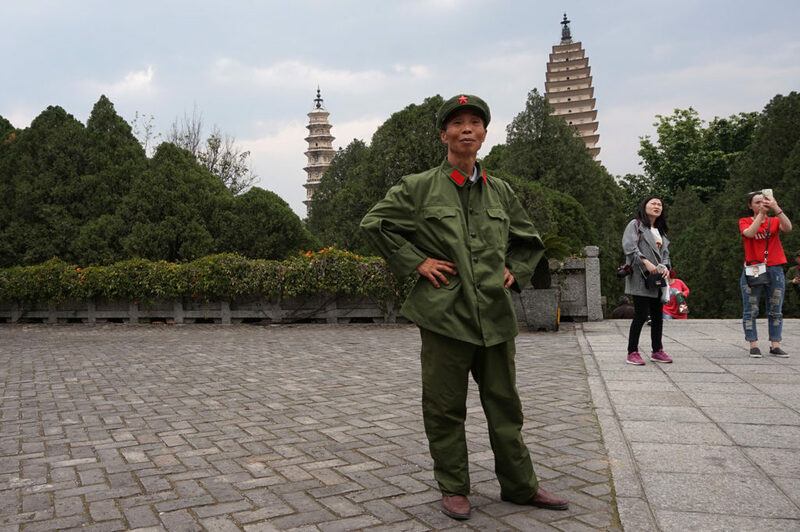 Most people visit Anhui to climb the ever ubiquitous Huangshan Mountain. It rains often in the area, so clouds can cover the mountain entirely, just like it happened to us. The province is also known for its medieval heritage towns, home to white houses and little streams and lakes. Arguably the most popular ones are Xidi and Hongcun. Therefore, we decided to go to off the radar Tangmo and Chengkan. There we were all alone! As you can see planning a trip to China is an enormous task. We tried to give you as much inspiration as possible, but it’s up to you to decide where to go. If this list isn’t enough, we also recommend the following destinations. Though we haven’t been there yet, they are high on our list for the next holiday. If you happen to go soon, please let us know what you think. Tibet: Lhasa and Mount Everest. Fantastic tips and advice. Thanks for all the useful links. Can’t believe how cheap your flights are. Thanks for your comment! It almost seem like I am promoting those guys, but some of their bargains are just spectacular! ola meu querido e mais novo amigo do wayne……china tenho muito interesse sim,mitas curiosidades.No momento estou focada em ir para jerusalém,algumas coisas de ordem espirituais,mas fico grada e estou maravilhada com suas fotos……. Thank you Tariq. I’ll do my best! Thanks for your advice about cheap flights . Hope to find some nice destination for my next trip . Wish you all the best and be healthy , enjoy every moment . Thanks Dorin, Good luck in your search, with so many nice places to visit, you’ll find the right deal. Let me know If you need any suggestions and take good care of yourself too. China is a really intimidating travel destination, but the natural attractions it has to offer are priceless! Zhangjiajie National Forest Park, is my favorite! Thanks for your comment. Why do you find it intimidating? I am enjoying it so much, Chinese are so authentic, nature and ancient cities are outstanding! I am visiting Zhangjiajie Park next week, with really high expectations!